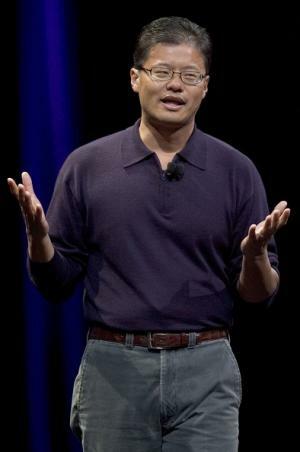 Jerry Yang was born on 6 November 1968, in Taipei, Taiwan, and moved to the USA with his mother when he was 10. He is an internet entrepreneur who became famous for being the co-founder and former CEO of Yahoo! Inc. So just how rich is Jerry Yang? Sources estimate Yang’s net worth at $2.1 billion, money having been made mostly in the IT industry, and through internet and venture companies. The entrepreneur started his empire in 1995, when he founded Yahoo! Inc. together with his partner David Filo. After the company became a technological leader in the market, Yang invested money in several large companies, mostly in Asia. Jerry Yang graduated from Piedmont Hills High School in San Jose, California and went to Stanford University, where he studied electrical engineering, subsequently graduating having both a Bachelor of Science and a Master of Science. At Stanford he met David Filo, the man who helped him develop “Jerry and David’s Guide to the World Wide Web”. The website worked as a database for the sites existing online back at the beginning of the ‘90s. The success of the project made the two partners start Yahoo! Inc., which in less than a year became the most important company at the time in the high tech industry. In 1996, Yang and Filo became millionaires with the initial public offering(IPO) of their company on the New York Stock Exchange, which had an immediate value of $850 million. In 1999, the MIT Technology Review TR100 put Jerry Yang on the list of the first 100 innovators of the world under 35. He was the CEO of Yahoo! Inc. between 2007 and 2009, and from 1995 to 2012, Yang also served as co-Chief Yahoo with David Filo. However, the biggest part of Yang’s net worth doesn’t come from Yahoo!, being mostly the result of several wise investments. While growing his first company, Yang started investing elsewhere in the high tech industry. In 2005, Yahoo bought 40% of Alibaba (China) for $1 billion and received, as part of this transaction, the assets of Yahoo! China, which had an estimated value of $700 million. Seven years later, Yahoo sold Alibaba for more than $7.5 billion, and had additional revenues of up to $9 billion from this business alone. This movement raised Jerry Yang’s net worth considerably, and made him the brain behind what specialists called “the best investment an American company has ever made in China”. Yang owns important parts of AME Cloud Ventures, a firm that he founded as part of his plan of becoming an investor and a mentor to technology start-ups. His name has appeared in projects such as Evernote, Tango, Shijiebang – a Chinese travel site, and Wattpad. He is also the General Manager at Rohm and Haas Electronic Materials CMP, Inc., in both Taiwan and Korea. During recent years, the entrepreneur was a board member for Yahoo!, Cisco, Alibaba Group, Workday, Inc., Curbside, Lenovo Group Ltd, and Stanford University Board of Trustees. In his personal life, Jerry Yang is married to Akiko Yamazaki, a director with the Wildlife Conservation Network, who he met at Stanford University. The couple has given $75 million to the University, most of the money being used for founding “Jerry Yang and Akiko Yamazaki Environment and Energy Building”, a building designed using sustainable architecture principles, and which hosts multi-disciplinary research.